The iPhone camera can read QR (Quick Response) codes that you find on marketing materials. Before the update to IOS 11, this process usually required a special app. The process is easy and nugget-worthy. 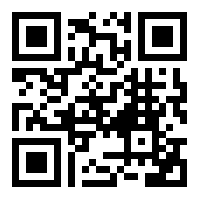 Point the camera at the QR code and wait a second for recognition. The resulting link or information will be displayed at the top of the screen. Tap the information screen at the top to access the linked site.